Choosing the right NAS for you is a daunting task with the countless models available. After testing a whole range of models and using a few on a daily basis for both work and play, we're able to recommend the best choices for running Plex. Synology strikes a balance between performance and price with the DS218+, which rocks two drive bays, an Intel processor, upgradable RAM, and an excellent OS. If you're new to the NAS game or need only two bays for storage, the DS218+ is one of the more popular options from Synology, and for good reason. Not only is it powered by an energy-efficient processor that can handle most tasks you'd perform on a home NAS, but it's also more than capable of running a Plex server. It's never a bad time to purchase a NAS, especially one from Synology, QNAP and other companies. Newer revisions mostly pack the latest hardware, meaning you'll only be missing out on the next-gen CPU once the successor to the DS218+ is eventually released. The bump is performance is expected to be negligible, and you'll still receive DSM OS updates. 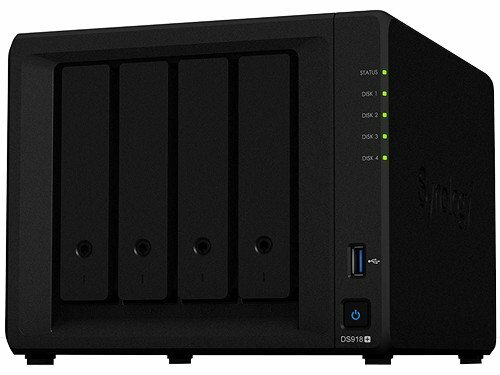 Synology opted to include a power-efficient Intel Celeron CPU, 2GB of RAM and two drive bays in the Ds218+, making it ideal as a mid-range or starter NAS. This allows up to 24TB of data to be stored, though we'd only recommend 12TB. Since you should have both drives in a RAID configuration for redundancy, you'll likely never run out of space as a home NAS. Synology DS218+ is a great balance between performance and price. It can also handle Plex, which transforms the NAS into a media server for music, photos, videos, and more. The processor is more than capable of handling multiple connections to the Plex server and can even stream 4K content to a compatible device like a tablet, PC, or smart TV. In short, it can do pretty much everything you'd need. It's not perfect, however. No NAS is, and should you need to transcode 4K content you'll be met by a few hurdles. Regardless of the NAS you select, it's likely you won't be able to transcode 4K content, which is just the nature of the game. These units are small PCs and as such, the available performance is rather limited when we consider just how much power is needed for handling 4K content that can't simply be streamed to a device. If you own a TV that can handle the same format your 4K movies are stored as on the DS218+, you'll be able to stream them without issue. 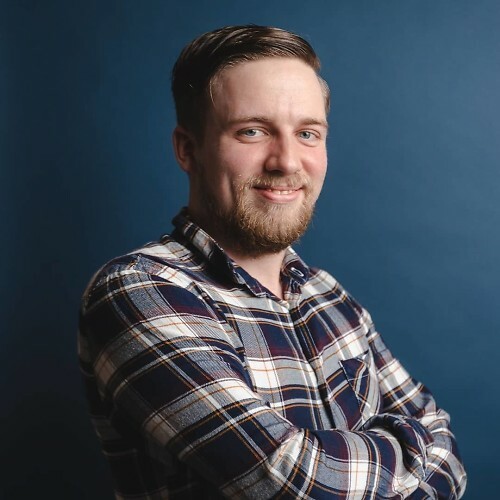 It's when the formats don't match up with the compatibility of the recipient device, which is when we need the extra horsepower to transcode the file and make it work. Depending on the processor, it'll either work to a certain degree with buffering and performance dips or not at all. If you're serious about 4K entertainment and have the available funds to spare (and don't need a small form factor NAS), it's better to build your own media server PC, which can house a desktop-class processor, GPU, and more RAM. The drawback is the requirement to use a NAS OS like FreeNAS and do everything yourself. You may need more than two drive bays or the DS218+ may be just out of your budget range. This is where our alternative recommendations come in. When an Intel Celeron processor just can't keep up with a busy household, a Core i3 may be better positioned to handle everything you're throwing at the NAS. While you'd think this bump in available performance would mean 4K transcoding, but alas this NAS falls short there too. This QNAP NAS isn't cheap but it does come with four drive bays. QNAP's TVS-471 with an Intel Core i3 processor is a powerful prebuilt NAS, but it shouldn't be considered the saving grace for handling 4K transcoding. The processor may still find it difficult to handle all that data, but where it can shine is by running a Plex server alongside other handy services like surveillance. You could consider the NAS a bloated DS218+, packing similar hardware with the addition of a further two bays, allowing for up to four drives to be installed for massive amounts of capacity. 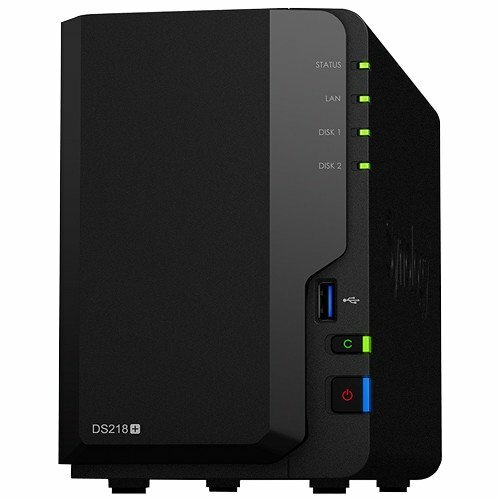 The DS918+ is a robust NAS for a small office or home. The newer Celeron processor offers an uptick in performance, and the ability to slot in two NVMe SSDs for data caching will come in handy for office environments. It's a great, versatile NAS with plenty of potential. Synology did a stellar job with the DS218+ NAS, which offers ample performance for a home NAS and can even handle Plex streaming. There are other NAS models available too if the DS218+ doesn't quite meet your requirements.